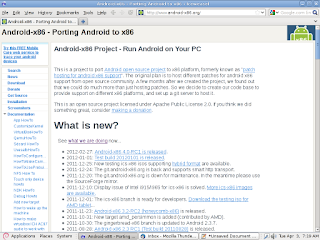 Started at mid-2009 Android-x86 project has not been able to offer a well-rounded release so far. 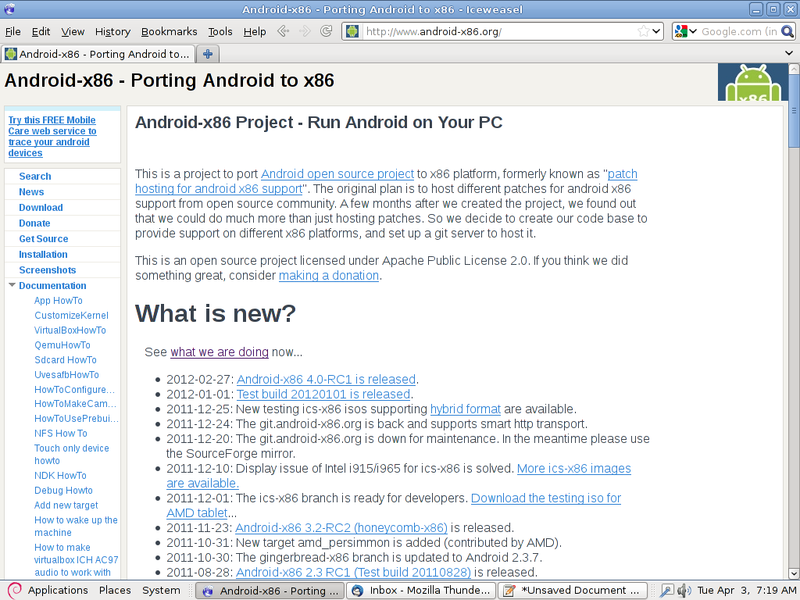 Then, it was a welcome relief for all those loved Android on mobile devices and wanted the same usability, performance and security on their x86 devices such as netbooks and computers. Till date the project has been delivering on those basis reasons, but has not been able to come up with a version worthy of consumer adoption. It always tries to catch up with the upstream, and pushes out unfinished releases (RCs) pretty close to the android releases. But before it could resolve all the issues and bring out a final bugfree release, Android jumps one version or one point up, and Android-x86 people drop it right there and sit together to work on the new upstream offering. Buggy RC stays just there. From Android 2.3 through 4.0, you get just unfinished RCs. I don't dare guess their future releases. #1 Suspend and resume doesn't work on some targets. #3 Camera and bluetooth don't work. #4 Camera recorder doesn't work. #5 Wifi and Ethernet cannot be turned on simultaneously. Is it just a product for developers to learn packaging for Android? Or for those hobbyists who don't expect anything more than being able to tinker?